Irrespective of our age, and position, we all stared even without a flutter of eyelashes at the magnificence that we saw in front. When our continuous stare made the Black Dog beauty blush, for a moment she shifted her look to downwards, but still keeping that pretty smile. Then again she lifted her eyelashes and looked back us silently requesting stop of our stare. “Have you tasted it?”, the elderly gentle man of our group asked her. She admitted that she hadn't tasted it. And then what followed this light chat was a serious discussion about Black Dog Scotch varieties. The taste of BD for 21 YO has been described as bold and magnificent. The beauty and taste of Black Dog Scotch for 21 YO is revealed only after 21 seconds, because of a secret treat by the master blender. Its taste is a combination of Seville oranges, ripe sweet mangoes, and ginger spice. But, the tongue will feel the taste of bitter chocolate, liquorices and crushed almonds. 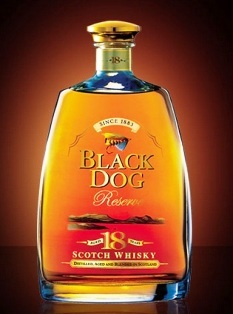 The color of Black Dog for 21 YO is intense amber gold with shimmers which differs from the deep golden glossy and mahogany shade of Black Dog Scotch Whisky for 18 years old. The BD for 18 YO smells very delicious with velvety textures accompanied by the smell of Oloroso sherry. It is quixotic flavored and is balanced by malt and grain whiskies. The finish of it is smooth and long, as a result of remaining in oak casks for long. When the discussion was in its peak, I was watching Diane keenly, and her occasional shy glances had made me happy.